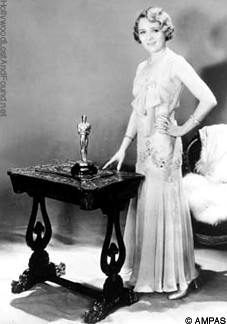 The Academy of Motion Picture Arts and Sciences is suing to prevent the sale of two Oscars given to Mary Pickford. Luke Skywalker's lightsaber from "Return of the Jedi" will be on the next space shuttle. Stories about Hunter S. Thompson continue to float around Hollywood, even two years after his suicide. Here are some remembrances by Jack Nicholson, Johnny Depp, and others. Ridley Scott made his dissatisfaction with current science fiction films clear, saying “There is an overreliance on special effects as well as weak storylines." Well, then, let's DO something about it, Ridley. The film "Mask" will be adapted into a Broadway music. No, not the crazy Jim Carrey film. That one with Eric Stoltz and Cher. The historic Sunset Gower studios, site of Harry Cohn's Columbia Pictures, has been restored. If you haven't heard yet, the super secret J.J. Abrams monster movie's website has added a scary sound effect... you can hear a creature roar if you visit the site and wait for six minutes.